In established industries there are tried and trusted solutions for most engineering requirements; however, sometimes we must look beyond the ‘standard’ to find new improvements. By starting a design project from the very basics – defining system requirements and looking at all potential approaches – it is often possible to challenge conventional practices and find better solutions. An example can be found in a coal mining company based in Pennsylvania which required a new inclined coal conveyor in one of its mines. 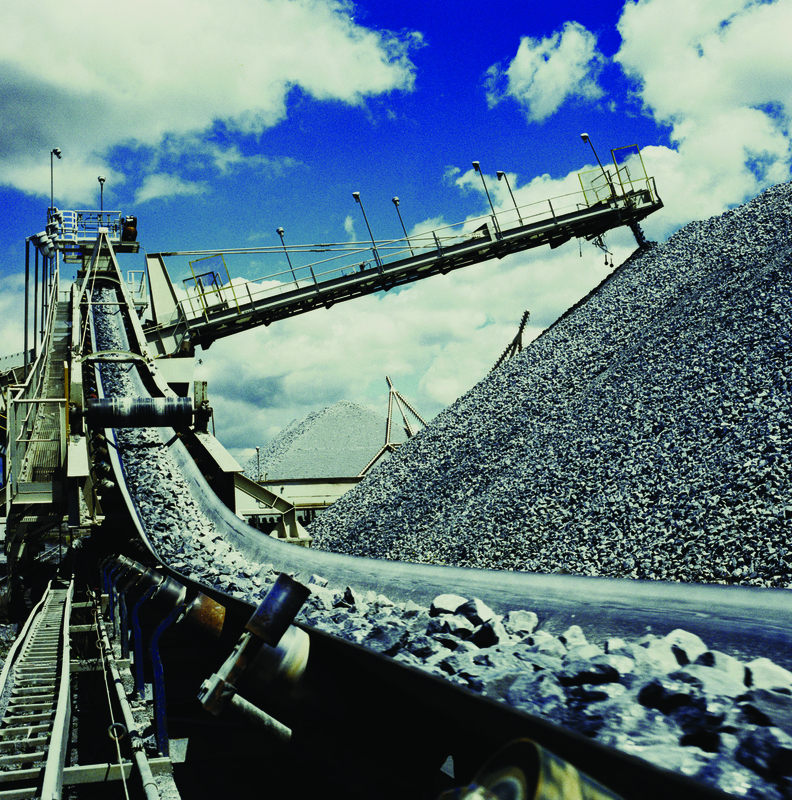 Instead of commissioning a replica of its existing conveyors, it took the time to re-evaluate the requirements of the mine and the demands that would be placed on the conveyor. It then sought alternative solutions to see if they could offer greater returns in terms of reliability, productivity and efficiency. Normally inclined conveyors have a backstop arrangement that prevents them from running backwards under load. This is particularly important in coal mines, where the load on a conveyor can be truly enormous, made up of coal and rock over the whole length of the conveyor. This is a vital feature that prevents tonnes of rock accelerating backwards and offloading at the end of the conveyor – which could lead to many hours of lost production and would have a risk of causing further damage. However, the Pennsylvanian engineers soon realised that in their case, if the conveyor had the ability to run backwards in a controlled manner, even if only a short distance, there would be considerable advantages when it came to clearing blockages and undertaking maintenance. 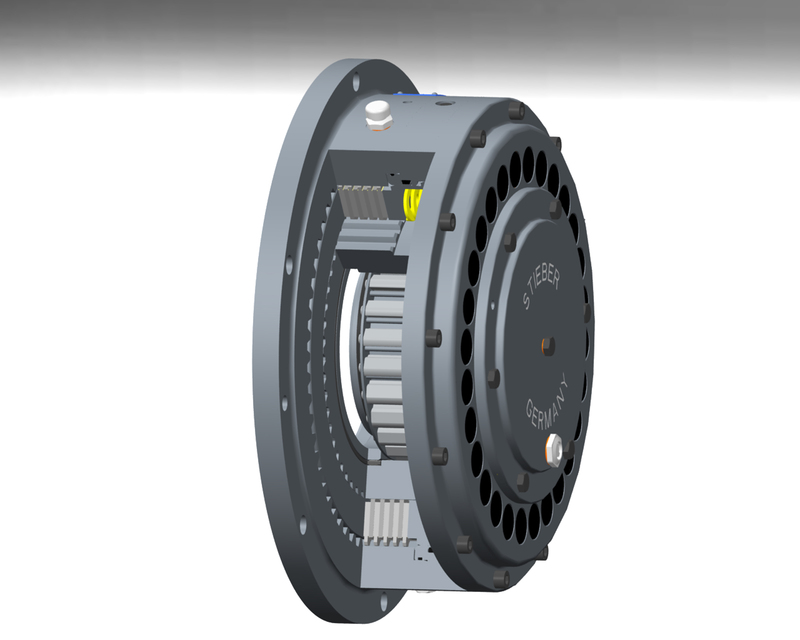 With this thought in mind, a search was launched to find a suitable clutch, or other mechanical mechanism, that would meet the project’s requirements. The RDBK high-speed backstop from Stieber Clutch, part of Altra Industrial Motion was quickly identified as probably the best match to the conveyor’s needs. The supplier was contacted and technical discussions and tests followed soon afterwards. The RDBK is a centrifugally operated, lift-off sprag, high-speed backstop, equipped with integral torque limiter. The latter limits the backstop’s transmissible torque to a value that is factory set, according to user specification. The backstop is often specified on multi-drive systems, such as large inclined conveyors, where two or more backstops share the reverse load. The torque limiting function is performed through a multi-disc brake working in oil. This solution not only provides for a high torque density of the complete unit, but also ensures that the set slip torque remains constant over extended periods, regardless of the environmental conditions, even in the rigours of a coal mine. Similarly, the friction linings work in an oil bath to make sure that the unit remains functional even if there are periods of inaction. With the RDBK fitted the mine’s operators are confident that in the event of a failure the conveyor will be held in position. However, offloading the conveyor is now a much simpler process which allows maintenance work to be carried out quickly and downtime to be reduced greatly. The RDBK is designed so that the sub-assembly which rotates backwards under overload is fully bearing-supported. This means it is capable of performing as many reverse rotations as may be required (within the limits of energy dissipation) to completely unload the conveyor prior to maintenance work being carried out. Stieber can build each RDBK with the release function manually, hydraulically or mechanically controlled; with the last generally being preferred in mines. This easy-to-use release function helps reduce downtime by making the clearing of blockages, belt jams or overloads fast and efficient. The RDBK range is available with torque capacities from 5,500Nm up to 180,000Nm, it is able to offer up to 3.5 times more torque capacity than other backstops of similar size, with up to 15 times more energy dissipation.